BMW is partnering with the National Park Foundation and the National Park Service to install 100 electric vehicle charging stations in national parks. In celebration of a new partnership between BMW of North America, the National Park Foundation, and the National Park Service (NPS), the first of up to 100 electric vehicle charging stations to be installed in national parks and nearby communities across the country was switched on April 19 at Thomas Edison National Historical Park, the site of Edison’s laboratory and home in West Orange, New Jersey. As part of this partnership, the U.S. Department of Energy's Clean Cities program will provide technical assistance to the national parks as NPS works with BMW to install the new charging stations. 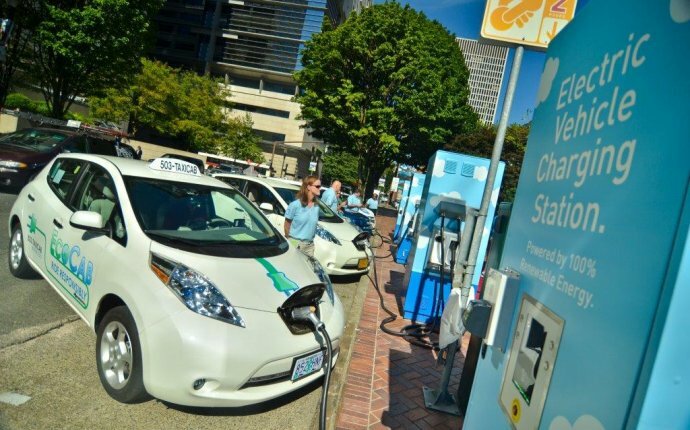 The integrated team from this public-private partnership will work to identify park locations for additional charging stations by considering factors such as proximity and strength of plug-in electric vehicle (PEV) markets, distance from nearby charging locations, and natural and cultural landscape considerations. The availability of this option will help make PEVs a feasible option for travel to national parks and contribute to reducing air pollution in parks and gateway communities. “Together with our partners, I hope that we can channel a little of Edison’s spirit and, in the same way that he made electric power widely available, make electric vehicle charging more widely available for everyone, ” said Ludwig Willisch, Head of BMW Group Region Americas. Since 2010, Clean Cities and the National Park Service have partnered on 35 projects, which have impacted nearly 70 million visitors and cumulatively reduce about 70, 000 gasoline gallon equivalents of petroleum each year. The projects incorporate cost-shared purchases of alternative fuel vehicles and equipment, as well as technical assistance components including outreach and education about alternative fuels. These efforts have built a foundation for additional NPS initiatives that will support its “second century of stewardship” and continue to improve the accessibility of the national parks to drivers of alternative fuel vehicles.